Reports of Burma's shady nuclear ambitions have resurfaced to take their place alongside warnings by US Secretary of State Hillary Clinton of secret military ties and possible technology transfers between Burma and North Korea. However, to understand the present situation and Burma's nuclear ambitions we need to look at the past. Burma's interest in nuclear science and technology is, in fact, nothing new. In 1955, the Atomic Energy Centre and the Atomic Minerals Department were established and dozens of young scholars and technicians were sent abroad, mainly to the US, to study medical physics, nuclear physics, nuclear, metallurgical and mining engineering and technical training in nuclear applications in instrumentation, agriculture and industry. The same year Burma attended the first international conference on peaceful uses of atomic energy, which was held in Geneva. Two years later, Burma joined the International Atomic Energy Agency (IAEA). Maung Thuta, in an article entitled ''Transparency Needed'', wrote ''at the dawn of the 'Atomic Age', Burma's nuclear elites centred around the UBAEC apparently had no doubts about propelling Burma into a modern industrial state through extensive research and development in the fields of power production, agriculture, medicine, industry and education''. Indeed, Burma was well advanced in those days to develop a nuclear project, compared with neighbouring countries. In the early 1960s, a site for a nuclear research reactor was designated near the Hlaing Campus in Rangoon. ''However, the first phase of nuclear ambitions faltered and stagnated within a few years when the much-vaunted 'Pyidawthar' industrial plan failed and UBAEC patron Kyaw Nyein fell from grace amid disputes among the ruling political elite,'' Maung Thuta wrote. Burma's early nuclear ambitions ended there. General Ne Win, who staged a military coup in 1962, had little interest in nuclear projects, nor did he trust scholars. So Burma's nuclear programme fell by the wayside, although in 1984 the general admitted to university professors at a private dinner party that he had made a blunder by ending it. One of the experts from those times, Thein Oo Po Saw, who earned a master's degree in nuclear engineering from the University of Illinois in the 1950s, remains active in Burma today. He played a crucial role in reviving Burma's Atomic Energy Committee and renewing links with the IAEA. He also urged the regime in 1995 to join the Regional Cooperative Agreement for Research, Development and Training in Nuclear Science and Technology in Asia and the Pacific (RCA). The professor has taught at the Defence Services Academy in Maymyo and is now an adviser to the Ministry of Science and Tech nology and adjunct professor at the Yangon (Rangoon) Technological University. Whatever the motives involved, the regime revitalised the nuclear project. Thein Oo Po Saw, renewed links with the IAEA. Since then, Burma has been demonstrating its intention to develop nuclear energy for ''peaceful purposes''. The regime has outwardly supported the concept of nuclear-free zones and signed the Treaty on the Southeast Asia Nuclear Weapon-Free Zone, or Bangkok Treaty, in 1995. A year later, Burma signed the Comprehensive Nuclear Test Ban Treaty. Burma's renewed interest in nuclear technology was evident, however. The Ministry of Science and Technology was created in 1997, and headed by an extreme nationalist, U Thaung, a graduate of the Defence Services Academy Intake 1. Two years later, Burma began negotiations with Russia on a nuclear reactor project, and in January, 2002, the military regime confirmed plans to build a nuclear research reactor for peaceful purposes. The Deputy Foreign Minister at that time, Khin Maung Win, declared that Burma's ''interest in nuclear energy for peaceful purpose is longstanding''. Thein Oo Po Saw also played a key role in the military-sponsored National Convention where he discussed a chapter of the draft constitution relating to the defence of the Union of Burma. He and several professional colleagues made an interesting suggestion. The chapter under discussion on March 3, 2005, covered seven key points on national defence, including chemical and biological weapons. The professor suggested an addition to the chapter to cover the ''prevention of terrorist acts and pressures'' in enacting laws regarding ''the defence of the Union of Myanmar [Burma] and of its every part, and to prepare a defence programme''. That programme would potentially include ''conventional arms, ammunition and explosives, and non-conventional sophisticated strategic arms'' as well as ''nuclear energy, nuclear fuel and radiation, and mineral resources that produce them, highly classified materials, objects, areas, technologies, researches and information and special security issues, accidents concerning the persons whose work involves highly classified materials, objects, areas, technologies, researches and information, and compensation and insurance coverage for them in case of accidents'', according to a report in state-run newspaper The New Light of Myanmar. Aung Toe, the chairman of the National Convention Convening Work Committee, replied by saying that such a programme _ particularly a nuclear one _ would incur international criticism if it was included in the chapter on defence and security. Aung Toe's prediction was not wrong. Now some press reports _ including one published in Spectrum _ suggest that Burma is on the way to possessing a nuclear bomb. The lack of transparency in Burma's nuclear programme, and the regime's repressive nature, only increased the suspicions of international critics and dissident groups. Aside from Thein Oo Po Saw, Burma's nuclear project has been developed by Minister U Thaung, who signed the reactor agreement in Moscow with Russian counterpart Sergei Kiriyenko, the head of Russia's atomic agency. U Thaung is known to be close to junta chief Snr Gen Than Shwe and his deputy, Vice Snr Gen Maung Aye. U Thaung has in-depth knowledge of Bur ma's mining and uranium sectors, and resigned his army post to become director general of the country's Department of Geological Survey and Mineral Exploration in the 1980s. U Thaung visited Moscow several times in the past in pursuit of the nuclear deal. He also organised students and army officers to participate in nuclear orientation and training in Moscow. In 2006, nuclear physics departments were established in the universities of Rangoon and Mandalay, with enrolment controlled by the regime. In 2006, Russia's ambassador to Burma, Dr Mikhail M Mgeladze, confirmed that about 2,000 Burmese students had been admitted to 11 academic institutions in Russia, under a bilateral agreement, and about 500 had returned to Burma with bachelor's, master's or doctorate degrees. Russian companies are also actively involved in the search for uranium in upper Burma. In the early 2000s, the regime confirmed publicly that uranium deposits had been found in several areas: Magwe, Taungdwingyi, Kyaukphygon and Paongpyin in Mogok, and Kyauksin and in the southern Tenasserim Division. The Russian companies Zarubezhneft, Itera, Kalmykia and the state-owned enterprise Tyazhpromexport have been involved in oil and gas exploration and the establishment of a plant to produce cast iron in Shan State. Tyazhpromexport's investment alone is worth about US$150 million. Aside from Russia, Burma's renewed diplomatic relations and secret military ties with North Korea no doubt heightened suspicions. Washington has repeatedly warned of nuclear technology transfer between the two nations. In April, 2007, a North Korean freighter, the Kang Nam I, docked at Thilawa port, 30km south of Rangoon. Interestingly, Burmese officials said the ship, the first to visit Burma since the restoration of diplomatic relations, sought shelter from a storm. Two local reporters working for a Japanese news agency were briefly detained and turned back when they went to the port to investigate. The Kang Nam I headed for Burma again recently, but turned back after being shadowed by a US destroyer in the harsh light of international attention. The April, 2007, incident wasn't the first time a North Korean ship reported running into trouble in Burmese waters _ by a strange coincidence, the North Korean cargo vessel M V Bong Hoafan sought shelter from a storm and anchored at a Burmese port in November, 2006. The regime reported that an on-board inspection had ''found no suspicious material or military equipment''. Indeed, to sceptics, the go-ahead for the nuclear reactor project, the arrival of North Korean ships and shady military ties (The Irrawaddy exposed one particular trip made to Pyonyang by Gen Shwe Mann in November, 2008, with exclusive photos) are new developments. It is premature, however, to conclude that Burma intends to undertake the complicated and perilous process of reprocessing uranium to get weapons-grade plutonium, although strong suspicions remain and will continue to grow. Although there are unofficial reports that Burma has set a goal of becoming a nuclear nation by 2025, it is still unclear whether the regime intends to develop nuclear weapons. More solid evidence needs to emerge _ and, no doubt, Thein Oo Po Saw, U Thaung and Gen Maung Aye, who oversees the nuclear project, could provide it. It is legitimate, however, to raise the issue and to inquire into the regime's intentions, in the interests of keeping nuclear technology out of the hands of the irresponsible regime. 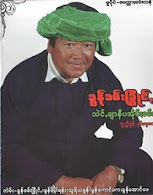 Aung Zaw is founder and editor of 'The Irrawaddy' (www.irrawaddy.org).